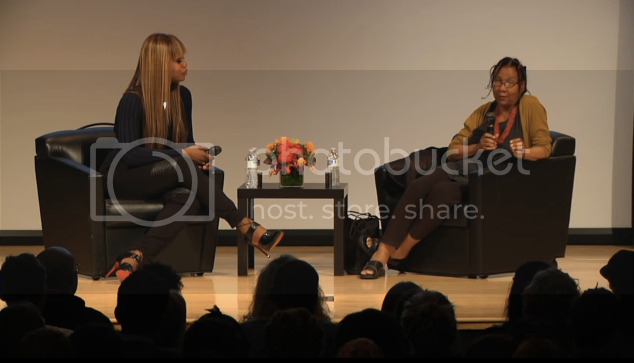 bell hooks continues her week-long residency at the New School with a discussion with Orange is the New Black's Laverne Cox. In their discussion, the two discussed the intersection of pop culture and feminism. Laverne Cox, who describes herself as a huge bell hooks fan, articulates how feminism has helped her navigate life as a Black trans woman. Yesterday, Gloria Steinem joined bell hooks for a dialogue on the state of feminism.